It’s that time again and buying gifts for Christmas can really be a chore… unless we have in mind what to buy. With a list of hottest toys at your disposal, you will never go off track. What’s more, the children will thank you for getting them these exciting toys! 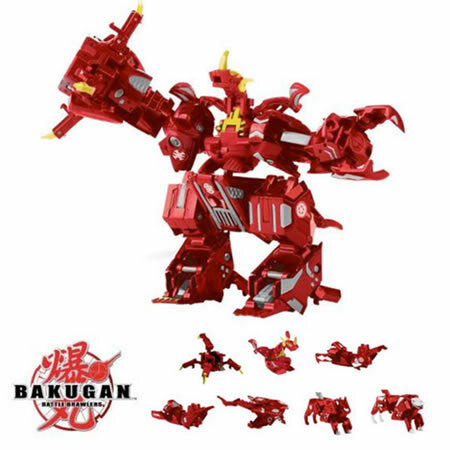 If you are new to Bakugan, it is an inventive strategy game based on the popular anime TV series: “Bakugan: Battle Brawlers.” Maxus Dragonoid is a combination of 7 Bakugan (1 Bakugan and 6 Bakugan Traps) that unite to form the ultimate monster. The 6 Bakugan Traps that form Maxus Dragonoid are unique to the Maxus Dragonoid monster and you can’t in any other Bakugan products. This feature makes it very appealing to collectors. All the Bakugan that compose Maxus Dragonoid can also be used separately in the game. Recommended for children of 5 – 15 years. Not for children under 3 years due to choking hazards. One hot toy for young adventurer, G.I. 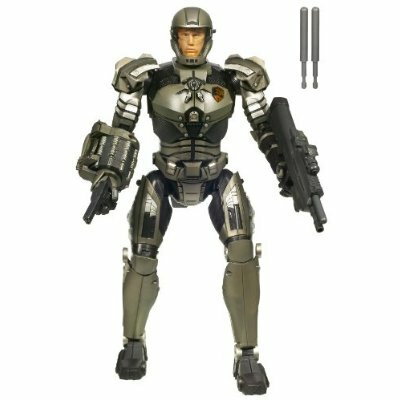 JOE Accelerator Suit Duke figure is designed for children ages five and up. The action figure says over 100 phrases, lights up, moves at your command, and fires any of his four weapons at the push of a button. It has 2 different modes including Night Operations Mode. If your child is a fan of G.I. JOE, he will be thrilled to interact with this life-like character in their very own “intense” secret war missions. All in all, a famous action figure with plenty of weapons, sounds, and movement. Who are they? Started in 1988 in the garage at Doug’s parents’ house, Melissa & Doug has become one of the most popular toy makers in the world. Their toys have obtained dozens of parenting and “best toy” awards over the years. And have been featured widely in national print media and on television. One thing for sure is that their toys are thoroughly tested for safety, and meet all US consumer product safety regulations. Endless hours of fun right around the bend with this Deluxe Wooden Railway Set. With nearly 100 wooden track sections and supports, and over 30 accessories, including a fright train, passenger train, and suspension bridge, the Melissa & Doug Wooden Railway Set is ideal for the young train engineer. Everything you need to recreate an amazing train world is included. Designed for children ages three and older, the set includes easy-to-follow instructions for four different track configurations, giving children hours of playtime as they build the perfect layout. There’s no better way to inspire your little artist! With the Melissa & Doug Deluxe Easel, children can create art with paint, chalk, pens, crayons, markers, and more – all at one convenient station. Generously sized chalk board and dry erase boards are perfect for projects large and small. Easel folds ups easily for convenient storage and features a colorful paint tray with cup holders. It has an easy loading paper roll holder and an extra large tray for holding erasers, chalk and clips. Paper cutting edge at top of easel means clean paper cuts for your artist’s work! 4 large clips included. (Note: Easy load paper and paint cups not included.) 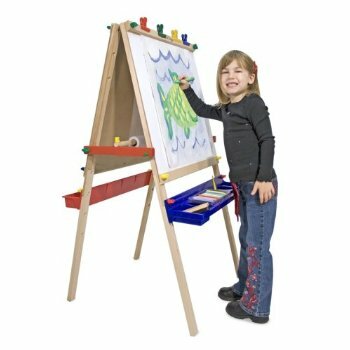 The Melissa & Doug Deluxe Easel features a bi-fold wood frame with two art stations, one on each side, which allows two children to work at one time. Designed for kids ages three and up, this easel will provide hours of creative activity that is both educational and enjoyable. Imagine moving an object with the power of your mind? Intrigue? Not anymore. 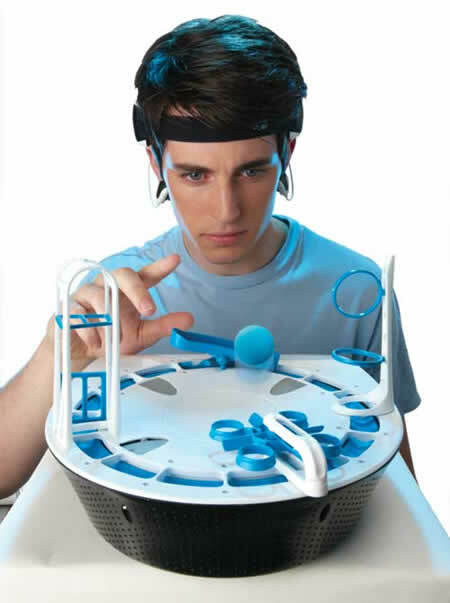 Mindflex, the new mental acuity game from Mattel, makes that dream a reality. A lightweight headset containing sensors for the forehead and earlobes measures your brainwave activity. When you focus your concentration, a small foam ball will rise on a gentle stream of air. Relax your thoughts and the ball will descend. By using a combination of physical and mental coordination, you must then guide the ball through a customizable obstacle course – the various obstacles can be repositioned into many different configurations. Mindflex combines advanced technology with the power of thought to create an interactive experience unlike any other – a game where players compete in the ultimate mental marathon. For children ages 8 and up. Requires 4 C batteries and 2 AAA Alkaline batteries (not included). Super fun and cute, this is a great toy for the little ones. 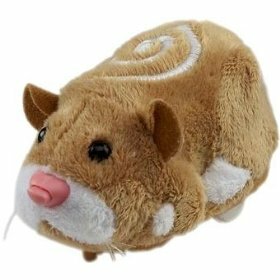 Zhu Zhu pets are alternatives to the real ones. They are like the real hamsters but minus the hassle, smell, and mess. Each Zhu Zhu Hamter has its own unique personality & whimsical sounds. Contains small parts. Not for children under 3. The building possibilities are endless and only limited by the child’s imagination and creativity! The Lego Ultimate Building Set includes everything a child needs to take the first steps to becoming an expert Lego builder. It includes one mini figurine, a building plate, and a wide mix of standard bricks in various colors as well as house and wheel elements. With 405 pieces stored in a durable plastic box with a see-through top, this set is the perfect place to let children continue to explore their imagination and engineering skills. 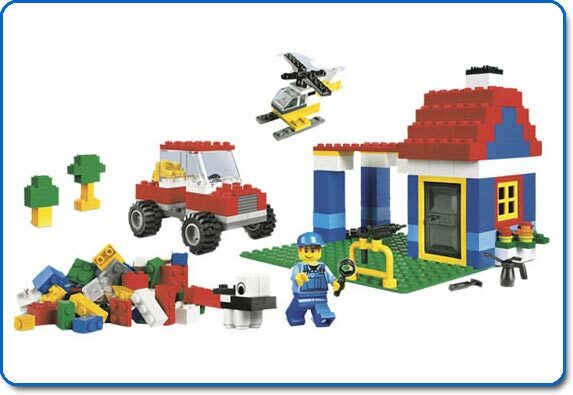 The Lego Ultimate Building Set contains many small pieces and is designed for kids ages 4 and older. 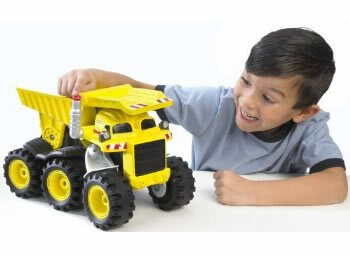 Matchbox Rocky the Robot Truck by Mattel is an interactive dump truck. With solid design, boys can now interact with Rocky that is fixed with sensors and motorized movements. Rocky talks over 100 phrases, tells jokes, and even dances. Kids can use Rocky for hauling, loading, and dumping. When the work is done, Rocky goes to sleep and guess what – he even snores! Rocky The Robot Truck comes with four “C” batteries. Rocky is designed for children ages 3 and older. Kickstart your journey to a tropical island where a bunch of fun activities await. 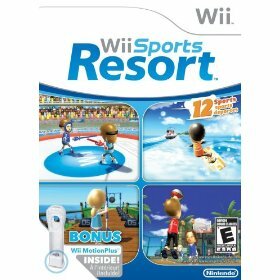 In Wii Sports Resort, the sequel to the engaging Wii Sports, you’ll discover a wide range of new sports and activities you can play anytime. This sequel makes use of the Wii MotionPlus accessory, which gives players the most responsive and realistic experience possible. Compete with your friends and family in the ultimate sports showdown. Some sample activities include Sword Play, Power Cruising (racing a water scooter) and Disc Dog, which involves accurately tossing a disc to a cute, Mii-like dog. Want to inspire a love of reading and change the way your children experience reading? 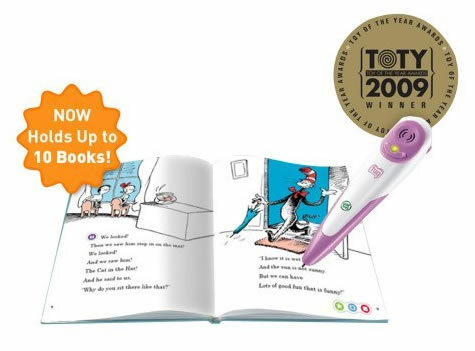 Try the LeapFrog Tag Reading System – the amazing touch reading system that brings stories to life like never before. Kid not, it is now the #1 best-selling reading system in USA, UK and Canada. The Tag Reader has won more than 28 awards in 6 countries and is loved worldwide. Combining fun, interactive activities with help for sounding out challenging words or pictures, this unique reading system will engage and help children in the reading process. The durable Tag Reader is cleverly shaped like a pen, with the optical reader at the tip. It’s easy for children to operate independently and the pen fits well into small fingers. A simple touch to the Tag Activity Storybook will prompt the Tag Reader to speak words, ask questions, sing, and engage your child in over 17 learning activities. Recommended for children ages four to eight. Need more ideas? Click here for Holiday Toy List that features hundreds of best selling toys. IMPORTANT: Hot Christmas toys sell out very quickly. Order now to avoid disappointment.